For this year’s season preview series, I decided to explore the nine “bellwethers” for the Tigers 2016 campaign. The idea wasn’t to write about the club’s most important players, but rather the players who were most likely to tip the balance in one direction of the other. Now that the season is over and we have some distance between us and Game 161 (?! ), I thought it might be interesting to see how the bellwethers compared to what I wrote about them in March. That’s essentially the question we’ll be looking to answer in 2016. Can Daniel Norris strike out more hitters without sacrificing command? He’s a fly ball pitcher with a solid enough group of outfielders and has a pair of great defenders up the middle in the field. Norris was victimized surprisingly by lefties in 2015, who hit for a ton of power (.293 ISO in 64 PA), but that probably won’t continue once he gets a chance to pitch a full season. In 2015, hitters were very patient against Norris, which is something he’ll need to combat with a higher number of first pitch strikes. He needs to get ahead early and let his arsenal of secondary pitches force hitters to chase for swinging strikes and weak contact. This is all very much within his grasp given the tools at his disposal. He’s physically gifted, intellectually capable, and works hard. Norris has the potential to become a #2 starter someday, but it’s probably not a good bet to predict he reaches that zenith in his first full season in the majors. More likely, Norris will have his ups and downs, getting hit hard from time to time before making adjustments to get back in control. Realistically, a 90 ERA-/FIP- is probably the best case scenario, which would make him about a 3 WAR pitcher over 180 innings. That’s better than he was in 2015, but it’s not all the way to his ceiling. But it’s also not out of the question to imagine Norris struggles with his command in April and the club decides he isn’t quite ready for prime time, especially because they need to watch his innings anyway. In this scenario, maybe he’s in the 110 ERA-/FIP- range, or worse, and the Tigers have to rely on Boyd, Fulmer, etc before they are fully ready. Given that the club doesn’t have a ton of depth, Norris is a crucial component of a successful season. There are always ways for teams to surprise you, but it seems relatively unlikely that the Tigers will win the division without a productive Daniel Norris. So the big question was if Norris could increase his strikeout rate without losing any command. Verdict? Nearly a 6% increase in K% and a virtually unchanged walk rate. I pegged him around ten percent better than league average and his park-adjust FIP came in 8% better than league average (his ERA was even better). His WAR/180 IP was 2.9, just under the 3.0 mark I set as the best case scenario. On a per inning basis, Norris hit his mark. The big issue was that he battled injury and inconsistency over the first part of the season and only gave the Tigers about 70 innings. Had he been this good and healthy all year, the Tigers season probably goes differently, but that doesn’t take away from the fact that when he was in uniform he was as good as we could have expected. It’s no secret that the Tigers need better innings from their bullpen if they want to compete and Wilson is going to be an important piece of that puzzle. He’s probably not 30-40% better than league average when it comes to ERA or FIP, but if he’s good enough to be in the 20-30% better than average window, that’s a big step forward for the Tigers. If Wilson can put together a 25 K%, 8 BB%, 0.50 HR/9 kind of season, all of which are very much in line with his 2015 season plus a little negative regression, the Tigers will have a really good LHP1 that will allow them to move Blaine Hardy into a LHP2. Wilson finished the year with a 74 FIP-, 25.9 K%, 6.8 BB%, and 0.92 HR/9. The home run increase was really the only thing that kept him from totally hitting the mark, but even with that issue he was still a nice upgrade over what the Tigers had previous. Wilson was incredible early in the season but regressed a bit later in the summer, so fans probably have a sour taste in their mouths. Wilson was a very solid reliever for the club this year and while he flashed elite level performance at one point, the sum of his work was right around what we expected. 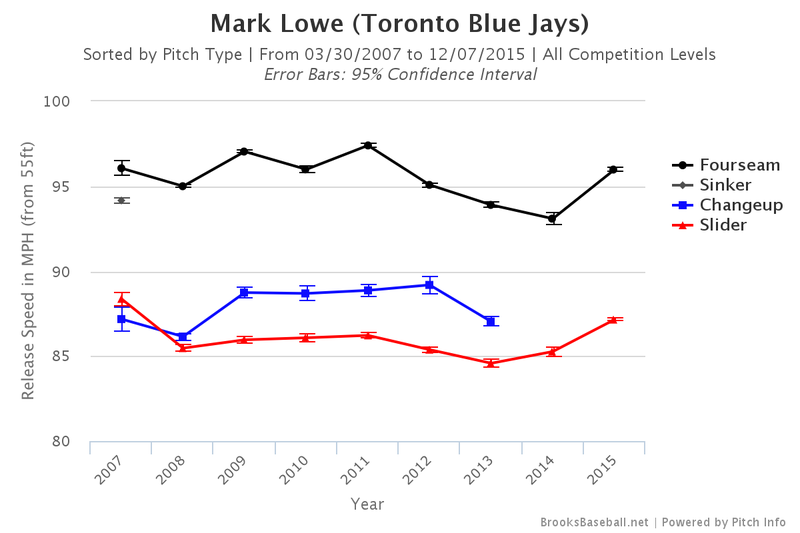 It’s likely that health is a key factor for Lowe, but even in the seasons in which he seemed to be healthy, he was never as good as he was in 2015. Last year was clearly his best year, and how the Tigers perform in 2016 will be partially dependent on how much of that was a real shift toward greatness and how much was a blip. 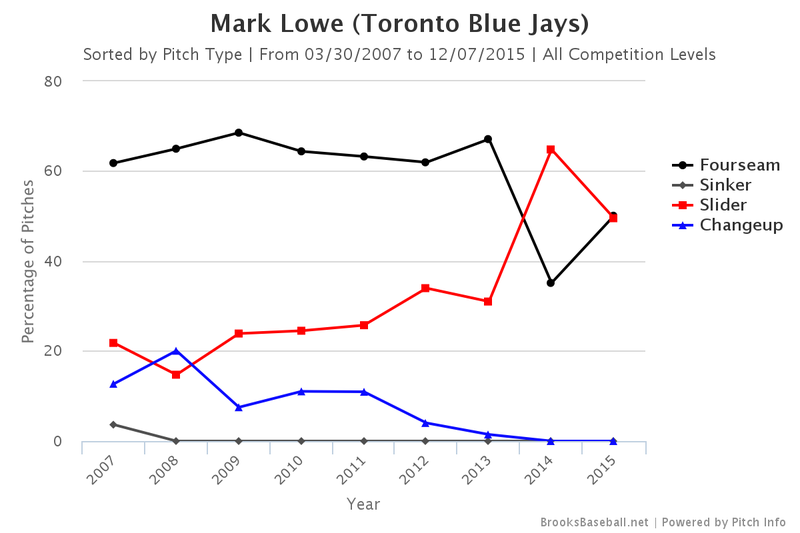 Is Mark Lowe really a great reliever, or is he simply a solid arm who had a good year? Even if he’s just a solid bullpen piece, but stays healthy, he’ll make the team better. But the team was awful in 2015, so a little better isn’t a terribly exciting move. If his slider-heavy approach and high velocity fastball are here to stay, the Tigers have themselves a late-inning reliever who can prevent leads from slipping away. If he can’t stay healthy or his 2015 success was mostly noise, it will be much harder for the team to keep up with Kansas City, Cleveland, and perhaps Chicago. So listen, just everything about this went to hell. Lowe didn’t have the same stuff he showed in 2015 and got creamed when he was out there for the Tigers. He had moments where he looked serviceable, but overall it was not a good season. The two big questions for Iglesias were making sure his defensive performance matched his talent and figuring out if he had a high BABIP skill that he could count on for lots of singles. On the glove side, the metrics gave him a nice bump over 2015 and what I saw from him squares with that assessment. Iglesias improved going to his right and kicked fewer easy plays, allowing his ability to make highlight catches carry him to a nice defensive season. At the plate, however, his walk and strikeout rates were identical to 2015, his power was essentially the same, and his BABIP dropped more than 50 points. Now the .276 BABIP he ran in 2016 probably sits below his true talent level, but the fact that he was a 73 wRC+ hitter instead of 95-100 wRC+ was a big reason why the Tigers missed the postseason. In order for Iglesias to be a really valuable player, he needs to hit a lot of singles. He didn’t in 2016. 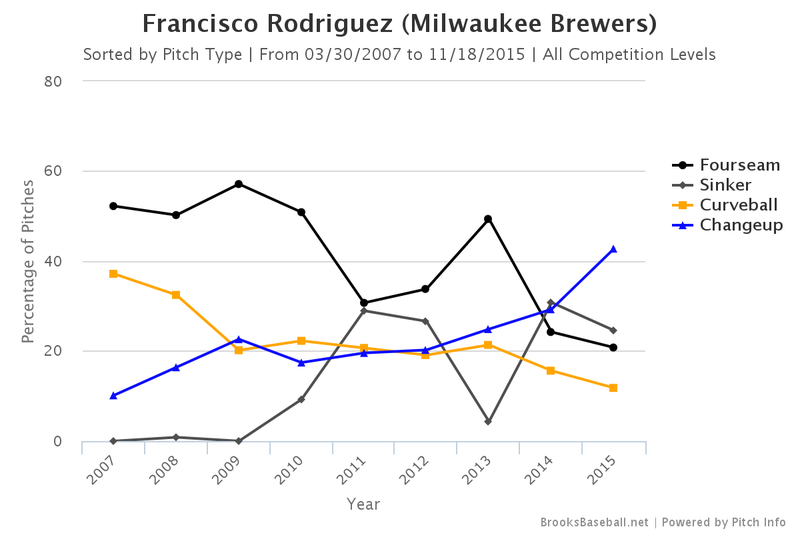 There’s isn’t one particular thing Rodriguez needs to keep doing, as we’ve noted with some other players during this series, it’s really just that he needs to hold off that inevitable decline a little bit longer. Okay, so this one pulls in both directions. McCann’s bat was terrible in 2016 and all of the problems you feared he might have manifested in a 66 wRC+. However, as I suggested this winter, McCann was more than capable of improving his framing and he did exactly that. McCann didn’t turn himself into a great framer but he went from one of the worst receivers in baseball in 2015 to a roughly average one in 2016. Mix that with his great catch and throw abilities and you have yourself a very solid defender. Unfortunately, great defense doesn’t get you all the way there if you are hitting 35% worse than league average. A downer would tell you that Castellanos shined early in the season and was starting to fade before he got hurt, but if you take a step back and evaluate his season as a whole, he checked exactly the boxes he need to. Increased power, above average BABIP. He finished with a 119 wRC+. While his glove remained below average, it’s nothing like what it was in 2014, and as I said, a 120 wRC+ hitter with a below average but serviceable glove is a player you can work with. The injury cost the Tigers, but Nick did his part living up to what they needed. I will leave it to you to decide if you consider his season a disaster, or just something kind of close to that. But clearly, Sanchez coming in at the bottom of his potential was one of the significant daggers in the Tigers 2016 title hopes. This is both comforting and heartbreaking. Verlander absolutely carried forward his late-2016 form and was exactly the kind of pitcher the Tigers needed at the front of the rotation. He did absolutely everything he could to get his team across the finish line, the rest of the club just happened to come up short. But there’s a counterfactual here worth discussing, just for the sake of this series. Had Verlander gone the other direction, there’s no doubt the Tigers would have missed the playoffs. He really was the truest bellwether of the season, it’s just that 2, 4, 6, and 7 collectively broke far enough in the wrong direction to stifle the club’s hopes. That combined with injuries to JD Martinez and Jordan Zimmermann kept the Tigers from postseason baseball. In order to compete in a tight AL Central, the Tigers need to pitch better at the end of games. We’ve already talked about Justin Wilson, and we’ll get to K-Rod, but the Tigers new RHP1 is going to be a critical piece of the 2016 re-tool. If Mark Lowe really has remade himself and the 2015 version is the version he truly is, the Tigers are going to be in a much better position in the 7th and 8th innings than in recent seasons. There are two key things we should monitor when it comes to Lowe. First, he found his early career velocity again in 2015. Keep in mind that in 2013 and 2014 (and 2010) he didn’t throw many innings. Career relievers don’t often magically learn to throw harder at 32, but if all we’re looking at it a guy who finally got healthy, this could be a very real difference that allowed him to pitch much better. He also lowered his arm slot a touch as well. The big difference for Lowe was that he started using his slider a lot more to lefties and righties in 2015. Same 2010/2013/2014 sample size applies, watch 2008-2009-2011-2012-2015 for the best idea. The 2014 spike is 7 innings, so you can see how it became a much larger part of his arsenal in 2015 compared to years past. More strikeouts, fewer walks, fewer dingers, fewer runs. He was the whole package. In an effort to find to bring a new angle to the routine nature of season previews, this year New English D will be running a season preview series based on the team’s nine most pivotal players. We’ll be calling the series “2016 Bellwethers,” and will break down the players currently on the roster whose 2016 direction will indicate where the Tigers are heading this year. Keep in mind this is not a series about the most important Tigers, but rather the Tigers with the widest range of possible outcomes. You won’t see Miguel Cabrera featured, for example, because of his steady dominance of the league. Enjoy. #9: Daniel Norris. Given the success the Tigers have had with pitchers named Justin and Wilson separately, it made all the sense in the world that they would go for the gold by acquiring a pitcher named Justin Wilson. Presumably they put a little more thought into the deal that sent Chad Green and Luis Cessa to the Yankees in exchange for the left-handed reliever, but I like to think it was as simple as a lazy deployment of the transitive property. 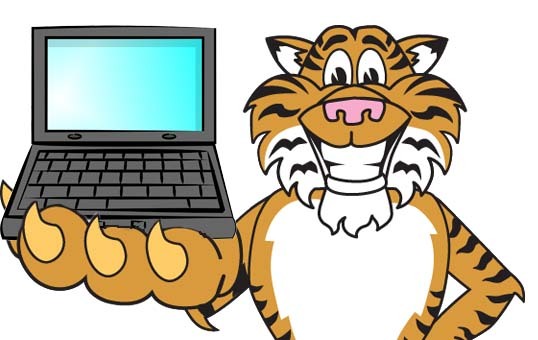 Everyone knows the Tigers bullpen was a weak point during the Dombrowski era and Al Avila went into the offseason with only two real locks for the 2016 pen: Alex Wilson and Blaine Hardy. While Wilson and Hardy were good in 2015, they aren’t exactly guys you want to point to as your best two arms. Sure the Tigers had some interesting potential like Bruce Rondon, Drew VerHagen, etc, but they needed relief help this winter, and relief help is something they got. You won’t have to wait long to see the other two new relievers, but today we’ll turn our attention to Justin Wilson. Wilson pitched his third full season in 2015, delivering 61 innings across 74 appearances to go with a 76 ERA- and 64 FIP-. Last season was clearly his best using fielding independent numbers, although his ERA was better in 2013 thanks to a crazy low BABIP. Given that we’re talking about fewer than 200 career innings, I’m going to keep my focus on the components rather than the results, but at least you have some idea where he stood. Wilson has always been a low homer guy, giving up between 0.4 and 0.6 HR/9 in each of his three seasons, but the big difference in 2015 was his increase in strikeouts. He punched out 27% of the batters he faced in 2015 compared to about 20% in 2013 and 24% in 2014. On top of that, he walked 8.2% of batters in 2015 after walking 9.5% and 11.7% during his previous seasons. From that perspective, it’s not surprising that Wilson had such a good season. If you don’t allow dingers, get guys to strike out, and keep the free passes around league average, you’re going to have a solid season. Also, while Wilson might strike you as a LOOGY because of his 61 IP to 74 G ratio, he’s actually faced plenty of righties and has a slight reverse platoon split for his career. Granted, I would never suggest 200 innings across three seasons is enough data to suggest he is actually a reverse platoon guy, but the fact that he hasn’t displayed a normal split over 200 innings does indicate to me that he’s probably not someone who is going to have a major platoon split. Wilson is primarily going to throw a fastball around 95-96 and a cutter around 91-92, while also mixing in a few sinkers. You might even see 98-99 when he really needs it. That kind of power from the left side is pretty rare and he’s used it well. One thing you’ll notice is that in 2015, compared to 2014, Wilson kept the ball down and away when facing lefties. Now that did cost him in the walk department, going from a 8.1% to 12.1% walk rate against lefties, but it also helped in the power department, dropping their ISO from .114 to .056. Small samples all around (86 and 83 PA), but you only have so much information when you’re talking about relievers. While Wilson kept the strikeouts steady, increased the walks, and cut the power versus lefties, he increased strikeouts, cut walks, and kept the power about even versus righties. The Tigers need the new relief corps to pitch well, but they’ve shown an ability to do so in recent years. The question, as it always is with relievers, is if they can continue to get batters out before they flame out. There are many dominant relievers in baseball, but dominant relief pitching year in and year out is a difficult thing to maintain. If Wilson can keep it going for another year, the Tigers bullpen will be on its way to one of its best seasons in years. In an effort to find to bring a new angle to the routine nature of season previews, this year New English D will be running a season preview series based on the team’s nine most pivotal players. We’ll be calling the series “2016 Bellwethers,” and will break down the players currently on the roster whose 2016 direction will indicate where the Tigers are heading this year. Keep in mind this is not a series about the most important Tigers, but rather the Tigers with the widest range of possible outcomes. You won’t see Miguel Cabrera featured, for example, because of his steady dominance of the league. Enjoy. 2015 was a big year for Tigers left-hander Daniel Norris. His professional life changed dramatically when he found himself serving as the July 30th centerpiece of a trade that delivered superstar David Price to the Toronto Blue Jays. For most people, switching employers, cities, and countries would probably register as the biggest event of the year, but the introspective hurler found himself face to face with cancer last April, pitched the entire season, and then had surgery to remove a malignant tumor in October. Norris behaves like someone you might find musing near Walden Pond, but pitches like someone who earned $2 million signing bonus out of high school. He starts our list of 2016 Bellwethers. Norris will turn 23 years old during the first month of the 2016 campaign and despite losing his rookie/prospect status in 2015, he is essentially the Tigers brightest “prospect” if you’ll allow me to use the term non-technically. Michael Fulmer is the club’s consensus number one (official) prospect but the promising right-handed is actually older than Norris despite his lack of major league experience. Nick Castellanos, Jose Iglesias, and James McCann are also older than Norris and possess lower ceilings. Twenty-three is young in pitcher-years. While the sport is skewing younger, pitching requires seasoning and experience. Justin Verlander wasn’t Justin Verlander until he was 26. Max Scherzer was 27 before he turned himself into a star. It’s extremely rare for pitchers to arrive on the scene fully formed and how long it takes Norris to develop will be a key determinant of the club’s success going forward. During the 2015 season, Norris logged 150.2 professional innings, 60 at the MLB level. The year before he had tossed roughly 130 innings and given that his offseason was likely disrupted by his recovery, it’s unlikely that we’ll see more than 180 innings from Norris in 2016. There isn’t a formula for assessing pitcher risk, but teams typically avoid big year-to-year innings jumps for young pitchers and Norris will likely be no exception. With that in mind, there is an artificial ceiling on what Norris can do for the Tigers, but there’s also a big difference between 180 above average innings and the kind of season that gets him sent to Toledo for some extra development time. We can all see Norris’ potential. He’s a lefty who sits 92 with his fastballs and touches 95-96 with some regularity. He is also comfortable throwing his curve, slider, and change with significant frequency. The pitches aren’t all fully formed and reliable, but the fact that they are as advanced as they are is a promising sign. The question for Norris in the long run will be his ability to command as many of them as possible. During his 60 brief innings last year Norris posted a 94 ERA- and 114 FIP-. Neither number is particularly meaningful in such a small sample of innings spread across a full season in conjunction with an oblique strain. He struck out batters at a below average clip and walked about an average number for a guy who threw just 60 innings. Given that command is the area of his game which needs work, the latter is a promising note. But in order for Norris to be successful he will need to find himself more strikeouts. Those were there in 2014, but were lacking in 2015. There’s no way to know if his health issues were to blame, if it was a matter of better competition, or if something else was the cause. Norris seems like a good bet to be a productive member of the organization over the next six years, but the question the club will face in 2016 is if he’s ready to be a mid rotation starter right now. That’s going to depend on his ability to get ahead of hitters with strikes and finish them off when he does. If Norris has good strikeout numbers and doesn’t increase his walk rate too much in 2016, he’ll have done his part and the Tigers will be on track for meaningful September baseball.